Wetherbury Village is having a fiesta with food, music – and dancing! 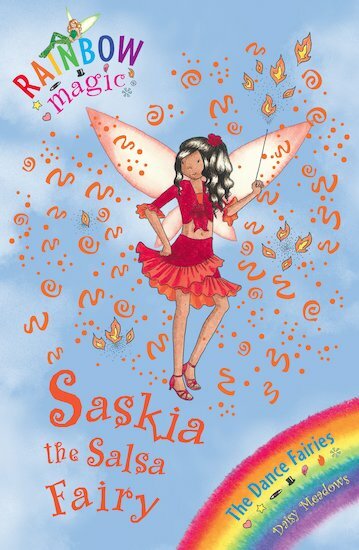 But Saskia the Salsa Fairy is frantic. Without her magic ribbon, all the fun will be spoilt. Can Rachel and Kirsty come to the rescue? Salsa the Dance or the Dip, Really Good! I’ve read this book because it is in are libary at my school and has stacks of rainbow magic books. And every girl trys to get the newest rainbow magis book. I think its rubish because its for babys!!! !